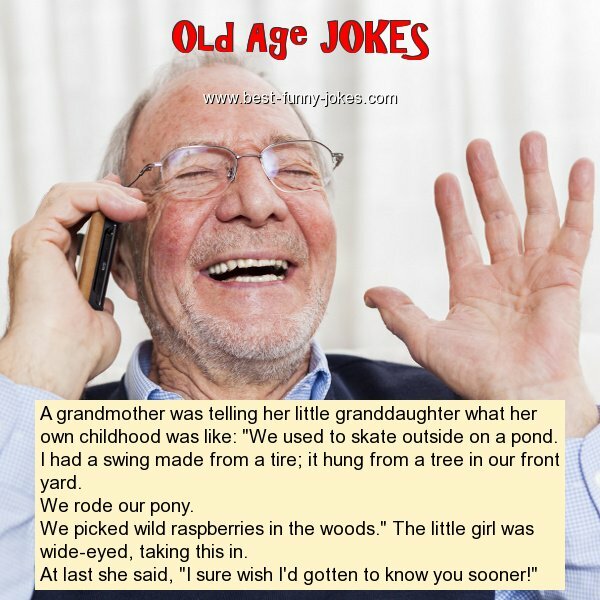 A grandmother was telling her little granddaughter what her own childhood was like: "We used to skate outside on a pond. I had a swing made from a tire; it hung from a tree in our front yard. We picked wild raspberries in the woods." The little girl was wide-eyed, taking this in. At last she said, "I sure wish I'd gotten to know you sooner!"